There are a lot of reasons to love New Orleans. The food, the music, the Old Quarter, the food, Mardi Gras. Did I mention the food? Of course, New Orleans is the Capital of Cajun Cooking, but you can also find excellent barbecue and Southern Comfort Food. And then there’s the seafood. Just the thought of fresh shrimp right off the boat makes me dizzy with excitement. 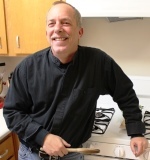 Right now, I can think of a half-dozen recipes I’d love to make for lunch, then again for dinner. When I first saw this recipe, I knew I’d love it. To paraphrase Jerry Maguire, you had me at “barbecue.” No, you don’t have to cook this over an open fire; it’s called barbecue because of the sauce. Purists, send hate mail via Carrier Pigeon Route 6-A. But please see the notes below the recipe before sending anything, OK? However, I have done this one using a large, covered grill so that it got a nice smoky tinge to it. According to some posts on the web, this recipe began in the kitchens of Ruth’s Chris Steak House. I adapted it slightly for my own tastes, but it’s still very close to the original. 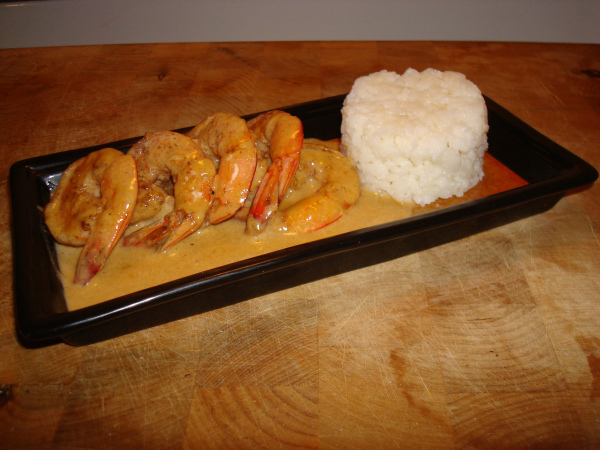 The recipe below will serve two normal people (about 1/2 pound of shrimp per serving). If not already done by the store, peel and devein shrimp. Chop green onions and garlic (if using fresh). Heat large cast iron skillet (or other frying pan) over high heat. Add oil and heat until it shimmers. Add shrimp and cook shrimp until barely opaque on one side. Turn and cook until just barely done. 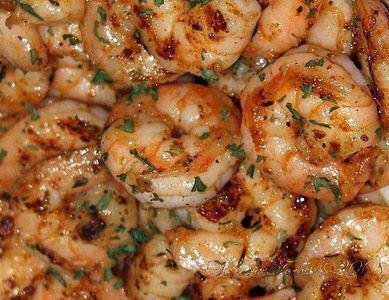 Remove shrimp and set aside on a large platter. Add green onions to the oil in the skillet and cook for 1 minute. Add white wine and let simmer until it is reduced by half. 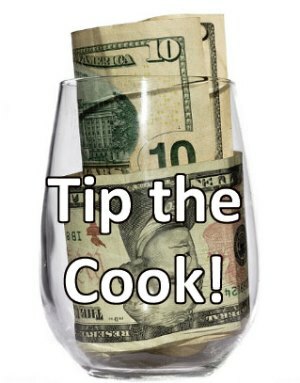 When the wine is reduced by half, add chopped garlic, Worcestershire, Tabasco sauce, cayenne pepper and paprika. Swirl the pan well and cook for 1 minute. Cut butter into small chunks with the knife and slowly add into pan, a few pieces at a time, continuing to swirl the pan as the butter melts. Keep adding butter and swirling the pan until all butter is melted. Add shrimp back to the pan and toss well to coat shrimp with butter and seasonings and to reheat the shrimp. Shrimp are sized by how many it takes to make a pound. So, if you buy Jumbo shrimp, you’ll get about 21-25 shrimp to the pound. Personally, I prefer Extra Jumbo(16-20 count), and Collasal (12-15 count) because they look so awesome on the plate. It’s like a plate of miniature lobsters! Remember to not crowd your pan so that the shrimp sear instead of steaming. 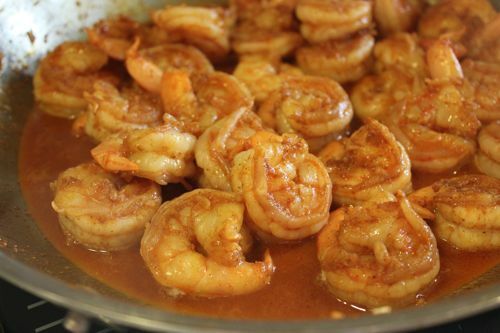 For that reason, it’s better to prepare shrimp in batches if you don’t have a large skillet. Depending on your taste, you may want to add more or less of the cayenne and/or Tabasco sauce. When I’m serving only those friends who appreciate the heat, I’ve been known to substitute a good habanero hot sauce for the Tabasco.